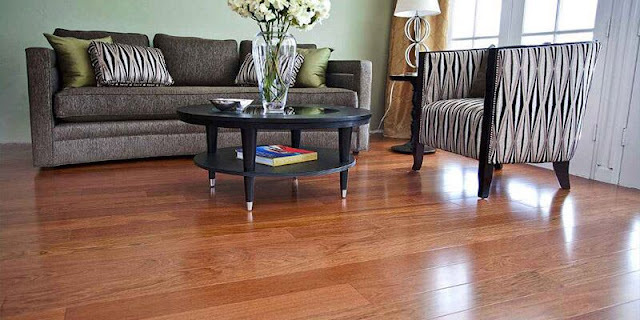 Solid hardwood floors are a classic floor choice for many Indianapolis homes. Hardwood floors never go out of style. They are warm and inviting. And today's manufacturing techniques make hardwood floors more versatile than ever with different finishes and plank widths. If you're considering hardwood floors for your home there are a few things you should consider first. Let's learn a few important pros and cons of solid hardwood floors. Hardwood floors are popular for many reasons but that doesn't mean they are the best fit in every home - or every room of your house. Before you start shopping for solid hardwood floors, take a minute to learn where they make the most sense so you can make sure you're getting the best floor for your lifestyle and environment. It's true that hardwood floors convey an immediate sense of quality and beauty. Hardwoods are both warm and tough. They are available in many colors, styles, stains and species so it's easy to match any decor. Those qualities are often what draw people to hardwoods in the first place. What are some other great benefits of solid hardwood floors? Hardwood floors are healthy. The do not gather dust or allergens and are a good choice for people with allergies or asthma. Hardwood floors are easy to maintain. Simple dust mopping and regular sweeping are all it takes to keep your floor looking like new. Hardwood floors are long lasting. It's not unusual for hardwood floors to outlast every other floor in the house. In fact, they often look better over time as they deepen their lustre and natural beauty. 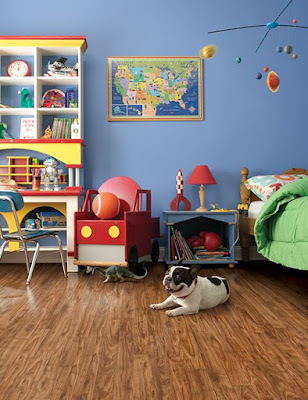 Wood floors are durable and can withstand a lot of wear and tear. Hardwood floors are a good investment in your home. Solid hardwood can increase the value of your house. And because they last so long, you're getting more time out of your flooring investment. If there's one caution we have around hardwood floors, it is that they aren't the best fit in every home. We will always agree that solid hardwood makes for a beautiful floor. But beauty isn't always practical. What are some other disadvantages of solid hardwood floors? Hardwood floors are slippery. If you have young children or are not steady on your feet, hardwood floors may not be the best option in your home. They can be quite slippery - especially when wearing socks - and slippery floors increase falls. Hardwood floors are not water resistant. Love the look of hardwood in your kitchen or bathroom? You might not like it when the wood warps from spills or water damage. There are some options that make hardwood feasible in wet environments but for the most part, hardwood is not a good match in rooms with water. Now that you know a little more about solid hardwood floors, we'd like to recommend you stop by Kermans to look at our selection - or at alternatives! Kermans carries a wide range of hardwood, tile, carpets and area rugs - if you need floor for your home, Kermans Flooring store in Indianapolis is the place to go! Schedule an appointment with one of our design consultants and they'll have floor samples that meet your needs ready for you to review when you arrive.